The BRM Property Advisory team reviewed the market, exploring other opportunities for Kennedy Partners to relocate to, and ultimately advised them to stay put, continuing their great relationship with their landlord. We then assisted them in resetting their lease to current market conditions. While the firm was to remain in the same building, it would move forward with a new design, reflecting the wider changes taking place in the organisation. 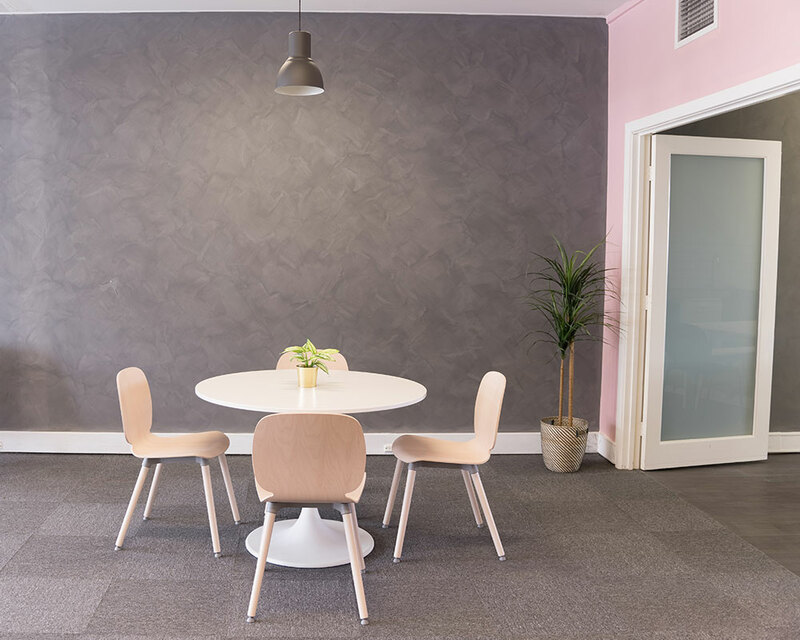 Aside from some minor cosmetic changes, the team at Kennedy Partners had endured the same office fit out since the beginning so it was due for a well needed upgrade. While traditional designs for law firms focus on a heavier, conservative look, Kennedy Partners wanted to move to something more contemporary. The objective of BRM designers was to strike the perfect balance between a family law practice that needed to facilitate a sense of delicacy by being welcoming to its clients, while remaining efficient and productive as a workplace. Other changes taking place in this workplace included a shift from paper based, to digital, adding different forms of communication and a change to the staff itself, involving new functional requirements. The design was to include a combination of private and shared spaces that were acoustically suitable. The principal behind BRM’s design strategy for Kennedy Partners was “function that allows for growth”. Due to staff changes, there was a pressing need for less congestion in the workspace. 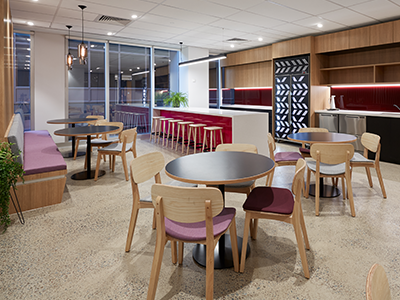 We created a delicate balance between workstations and open plan and designed an eat-in kitchen to promote greater interaction between workers. Congestion was also tackled through reduced storage to encourage less paper waste. BRM ensured that the project was delivered with minimal disruption to the Kennedy Partners workplace and this was achieved through exceptional co-operation between the landlord, builders, our design team and project manager. 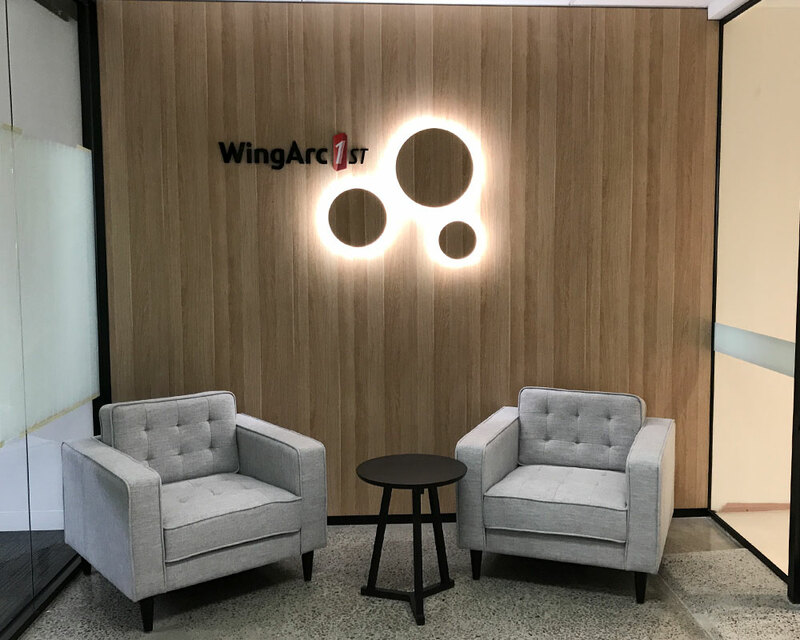 Ultimately, this co-operation meant that we could deliver on time to our client who could, in turn, deliver to their client, with little interference. When a client chooses to stay in their current office, this can pose a challenge for a new office fit out, as building needs to take place around an existing work setup. Luckily, Julliard Property Group allowed the tenant to use vacant office space while we carried out the work and the builders, Schiavello Construction worked outside of business hours to help avoid disruption. Delivery was staged, with different areas of the business relocating at different times to different areas, maximising the space that was available to us. For example, when meeting rooms were under construction, meetings took place in vacant areas or other areas of the office. Once the meeting rooms were complete, other areas of the workplace were moved into them. This type of ‘office’ shuffle was meticulously planned by the BRM team, so quality or time constraints would not be compromised in any way and the client could carry on as much as possible under the circumstances.